Isenberg has recently become a spokesman for the Costa Rican startup company Locos4Travel. He plays “Loco Jim,” an expatriate with multiple personalities. Isenberg is a regular contributor to McSweeney’s, heading the “Playing Doctor” column for the online magazine. Find all published columns here. Isenberg is a founding member of the Hodgepodge Society, a comedy lecture series produced by the Pittsburgh Cultural Trust and presented by the Cabaret at Theatre Square. Browse the official HP website here. 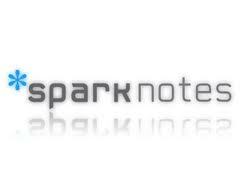 Isenberg contributed regularly to SparkLife, the lifestyle blog of the Sparknotes franchise. These humor items were written for an audience of high school students with a propensity to read. Find all published blogs here. Isenberg has published several pieces on Yankee Pot Roast, a celebrated online humor magazine.